Relax in our beautiful private nail and pedicure studio and enjoy Beau Monde Salon’s signature manicure and pedicure treatments. Our nail technicians use the latest techniques to achieve a strikingly beautiful finish. 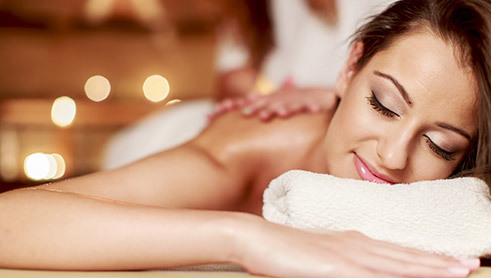 Our professional massage therapists customize a combination of techniques, such as relaxation and deep tissue, and aromatherapy to revitalize you. We recommend a massage every 4-6 weeks to benefit the skin tissue, improve circulation, to improve flexibility and ease muscle aches and tension. If you have serious medical conditions, heart disease, diabetes or cancer, a private phone conversation with one of our therapist is recommended prior to scheduling your appointment. You may request a shower after your massage, please reserve this time when booking your appointment. Essential oil aromatherapy complimentary with every massage. Experience this ancient art that draws on the science of reflex areas in the feet that relate to parts of the body. Working on those reflex points, relaxation, improved circulation and energy will bring you a feeling of total rejuvenation. A classic, full-body massage designed to reduce stress while promoting mental and physical health. Your massage therapist will use this soothing treatment to increase circulation, loosen those tight and tired muscles to provide head-to-toe relief. This technique targets layers of fascia through targeted pressure and muscle-relieving stretches. Health is restored to tired and aching muscles as improved circulation brings in oxygen and nutrients. A massage designed for the athlete, this invigorating method helps to remove lactic acid build-up allowing for quicker post-workout recovery. Stretching and range of motion work will influence production of healthy scar tissue encouraging better muscle tone. For the mother-to-be, we have a tender treatment that eases the aching and swelling of your changing body. Your therapist will provide comfort and relief for both you and your baby by reducing lower back pain and swelling associated with pregnancy. A scintillating soft tissue treatment, nine essential oils are released onto you spine, back and feet like raindrops. Smooth motions are applied followed by gentle massage in these areas. Elimination of toxins and relaxation of the mind and body are achieved. The raindrop technique involves the amazing power of essential oils, mixed with a variety of massage techniques including back massage, vita flex massage, and heat application. The technique is designed to bring the body back into structural and electrical alignment. To open and balance the seven chakras, warm stones are placed up and down the body. As the heat penetrates through these strategic points, it radiates into the muscles providing stress reduction and the release of toxins. This is certainly not your typical body wrap, scrub and mud treatment option. These treatments combines the exfoliation of herbs with the healing nourishment of essential oils followed by a warm thermal wrap. Sink into quiet comfort with a facial massage and foot masque. Customized by your esthetician, this treatment uses mud enriched with pure marine actives to smooth, stimulate and detoxify the skin. Sink into quiet comfort with a facial massage and foot masque. 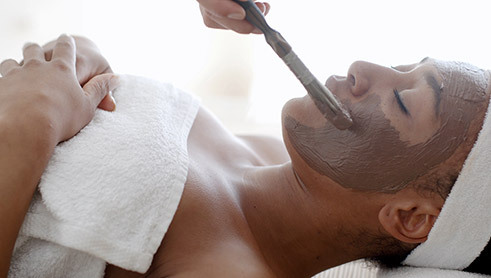 Mud treatments offered include healing, Dead Sea body masque, cleansing, French Green & Marine, and clay masque. 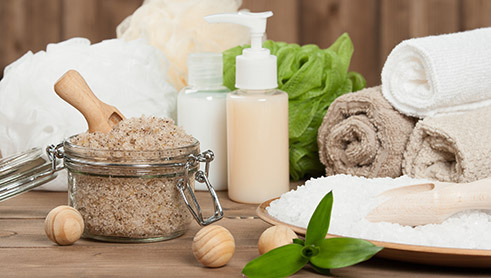 Body Treatment Wraps offered include relaxing, firming, energizing and detoxifying. All wraps include exfoliation. The following skin treatments are available in individual sessions; however, the best results follow a series of treatments determined by your skin therapist. Packed with powerful hydroxy acids and antioxidants, this facial is ideal for sun damage, pre-maturely aging skin and those prone to oiliness and congestion. For those looking to balance uneven skin tone, this botanical treatment achieves just that. A combination of hydroxy acid exfoliation and specialized serums helps restore and maintain a bright and even facial appearance. A non-invasive procedure utilizing fine crystals that are swept across the face via a vacuum wand will achieve a much deeper exfoliation. This treatment best suits clients who have acne scarring, oily skin, and/or want to reduce the appearance of fine lines and wrinkles. Created for first-time clients, it begins with a comprehensive consultation and thorough skin analysis. Your therapist then performs a classic facial followed by a prescriptive assessment that targets your skin’s challenges. A complete facial package that encompasses deep pore cleansing, professional exfoliation, extractions (if necessary), a relaxing hand and shoulder light touch massage followed by a specialized masque based on customer skin type and complimentary foot massage. Our “mini-facial” is for those on the go. A professional cleansing, exfoliation, masque followed by toner and moisturizer gives you an immediate glow. Great for clients who experience skin conditions that require extra, gentle care. This treatment will soothe any inflammation from Rosacea or conditions causing the skin to be sensitive. Your therapist will also perform a very light, pressure point massage to add an element of relaxation. 75-minute anti-aging facial begins with skin assessment, deep cleanse, exfoliation, facial steam with 10-minute head, hand and shoulder light massage followed by deep cleaning, ultra-calming serum, colloidal/oatmeal masque, multi-vitamin masque. Your facial ends with anti-aging ultra-calming complex and ag-smart complex. Moisturizer based on skin type. Blemishes and breakouts are a teens number one enemy. Starting with a brief education on how to properly taking care of their skin, therapists will provide a treatment that improves your teens complexion and helps to balance both oiliness and dryness associated with those adolescent years. Geared towards male skin, a customized face treatment that addresses concerns such as oiliness, shaving and breakouts associated with improper shaving techniques. A power cleanse, extractions and a de-stressing pressure point massage is performed followed by a cooling and soothing mask. A treatment designed to clear excess oil and/or dead skin cell build-up restoring a clear and clean sensation to your back. A deep cleansing, exfoliation with mineral salts or microfoliant light scrub and extractions if needed and 10-minute masque with hot towel and moisturizer application. 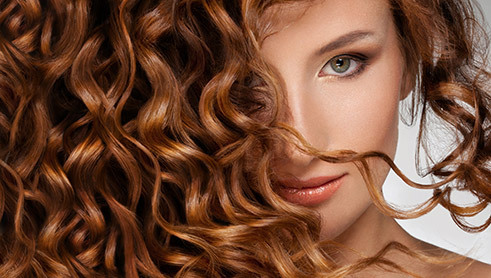 From subtle to sultry, Beau Monde Salon & Spa offers professional makeup services to complete your look! Bridal and special occasion services available on or off-site. Call for details and pricing. We use the highest quality wax in our treatments, which is very gentle on all skin types. Four to six week outgrowth is recommended for a smooth long-lasting treatment. If you are using Retin-A, Retinoic or Alpha Hydroxy Acids, you must stop usage 5 days prior to and 5 days after your treatment. Also, avoid UV exposure 24 hours before and after your treatment. All other waxing service pricing not listed below is based on consultation. Waxing as a form of hair removal can be very effective if done in a series of 6-10 treatments scheduled in 4-6 week intervals. Ask your therapist for details. NuFree Hair Removal is safe, germ-free hair removal product that greatly reduces redness and swelling. NuFree lasts longer that traditional waxing and is ideal for even the most sensitive skin. NuFree Hair Removal is the gold standard in hair removal. It is similar to a wax only in how it is applied, but very different in many ways. It was developed over 25 years ago to help plastic surgeons remove hair from a patient before surgery. Here are just a few of the reasons why Nufree is a very effective hair removal treatment in the world. Nufree is NOT A WAX and never sticks to the skin. Nufree is antibacterial/antimicrobial so it’s safe, clean and germ-free. Nufree is completely BOTANICAL and safe for the entire body. Nufree doesn’t dry and can be erased anytime! Nufree is clinically tested and uses no animal products. Master Esthetician, Susan Lew, has over 25 years of experience in microdermabrasion, chemical peels, and photo facials with deep cleansing. She also specializes in laser hair removal using the finest and most up to date equipment for the most reasonable prices in Bergen county. Non evasive skin resurfacing procedure that gently exfoliates away the top layer of dead skin cells, while stimulating collagen growth, to brighten your skin and have a healthy glow. Regular treatments can reduce fine lines, blemishes, dull skin and sun spots. Using a solution of natural fruit acid to peel top layer of dull and damaged skin, this therapy reduces wrinkles, blemishes, pigment spots, and sun damage. Laser facial combined with deep pore cleaning and skin tightening, laser resurfacing technology sends vibrating pules to the skin cells reduces wrinkles and skin irregularities such as blemishes or acne scars. Contact us to pricing and appointment information. 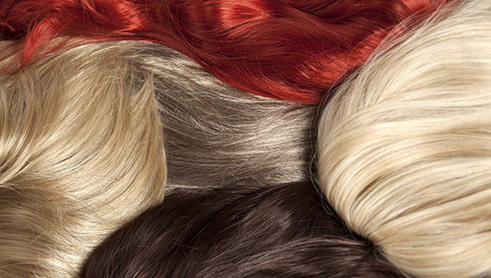 Beau Monde offers its customers a wide variety of wigs (sheitels). Our wigs are European hair and ready to wear.We encourage you to contact us if you have any questions and would like more information.